Cigarettes do not only harm the health of people, but also the health of our planet. Only few people know this: the billions of littered cigarette butts have to be considered hazardous and toxic waste. 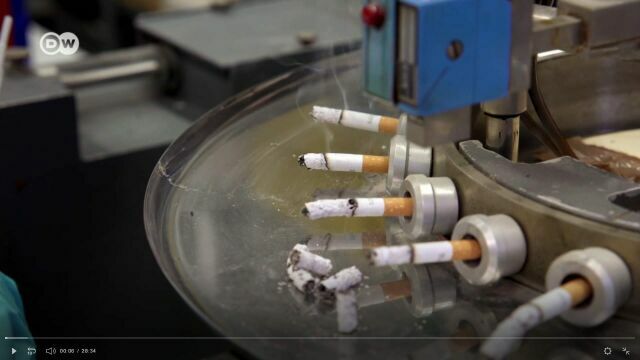 The German ZDF documentary Cigarette butts – poisoning the environment (English version) shows the harms from the butts’ toxicants as well as other environmental damage caused by tobacco. Our Director Sonja von Eichborn has also been intervewed. "Globally, we're talking about 4.5 trillion cigarette butts. If we place the butts end to end they would encircle the earth two times over."